Talk Paranormal | Supernatural Forum and Discussions / Tech And Tip Topics / Ghost Pictures / The spirit of a butterfly. I don't care whether or not people believe this photo is real. Just sharing for those who do believe me and appreciate it. Do you have any other photos of this? 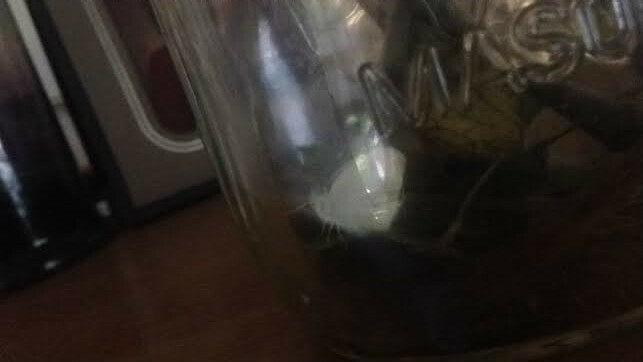 Looks like an out of focus moth in a mason jar with a reflection of whatever from the left making the object ethereal looking. A mason jar with sticks in it? Whats supposed to be the ghost? The butterfly or curtains open with the glare being distorted in curved glass?